One of my six-year-olds (I have two of them), Ella, has recently announced she no longer likes the crunchy peanut butter I have bought specifically for her for the past two years. Says it tastes like mold. Mold?! Really? How does the child even know what mold tastes like? It tastes no different to me but I have recently heard that taste buds are at their peak at age six so I guess we are even more sensitive than usual these days, which, if you know Ella, is significant. Super. She will, thank goodness, still eat creamy style, but now only with the raspberry jam she used to shun in favor of honey because the honey makes it taste “more peanut buttery”. Okay, whatever, as long as I don’t lose my staple option of peanut butter sandwiches 3 – 5 times a week (okay, it’s more like 5). It’s not like she likes many other options. 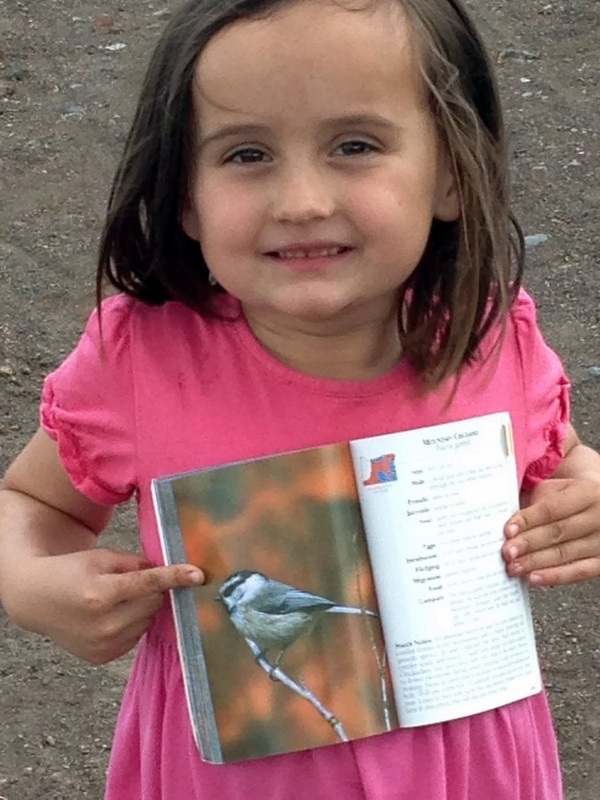 She’s also just developed quite the obsession with birds. Things are changing fast around here. Of course, this news came just a couple days after I purchased several jars of peanut butter (I always wait for it to go on sale then stock up because the Safeway organic peanut butter I like is super expensive), half of them crunchy. 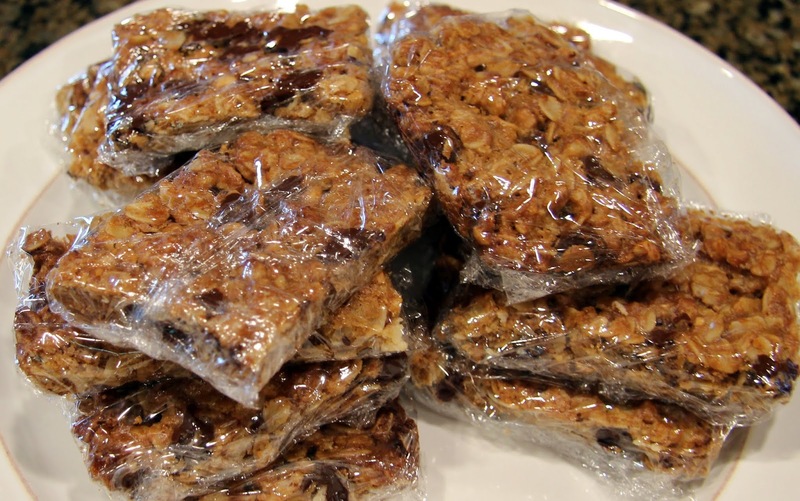 Lucky for me, I had just seen Giada on Food Network making granola bars with crunchy peanut butter so I thought I’d give them a try. I looked up her recipe then sort of did my own thing. 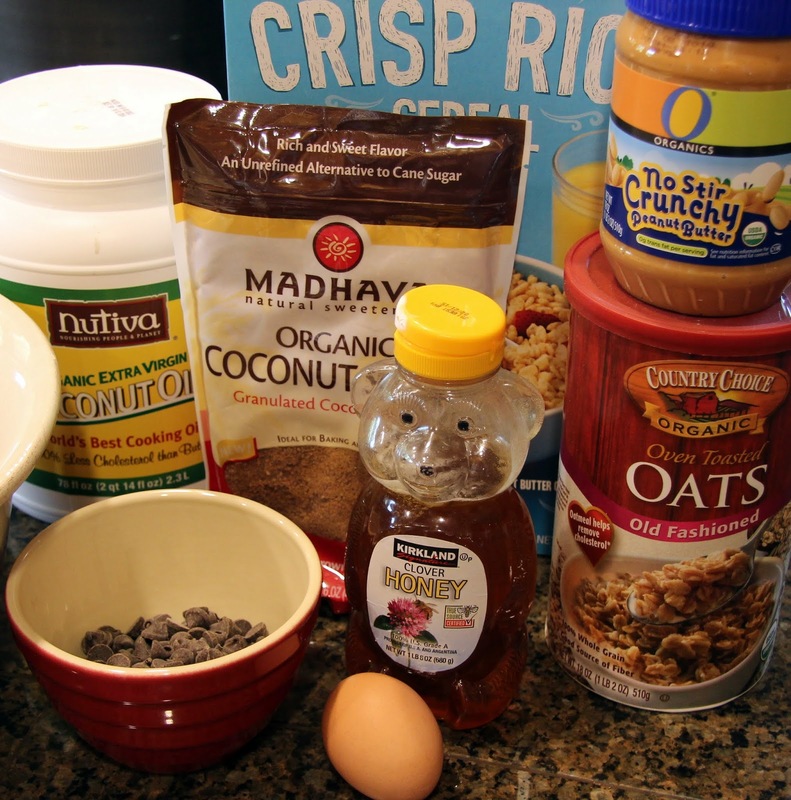 I used coconut sugar and coconut oil in place of the brown sugar and butter to make them a bit better for us and added some crispy rice cereal for a fun texture. They turned out great! 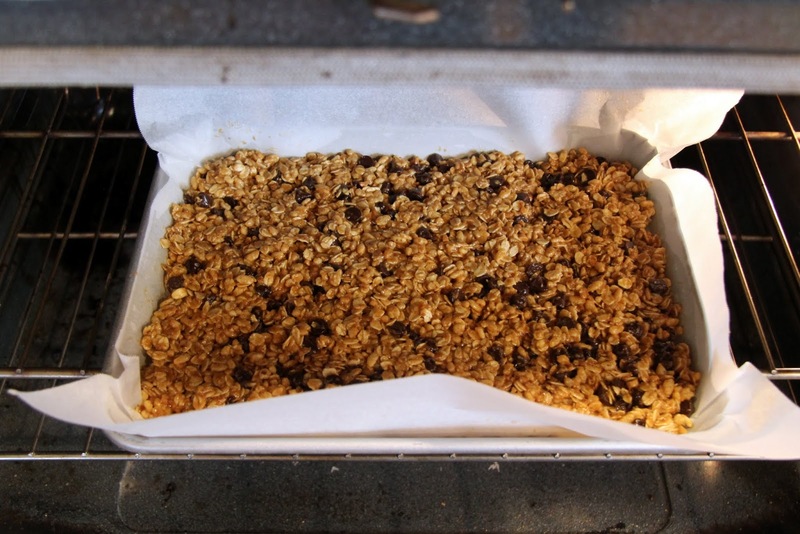 It’s important to remember when making granola bars to really pack them in the pan as tight as you can to make sure they don’t just crumble apart when you try to cut them. Also, be sure and let them cool at least an hour after coming out of the oven before you touch them. 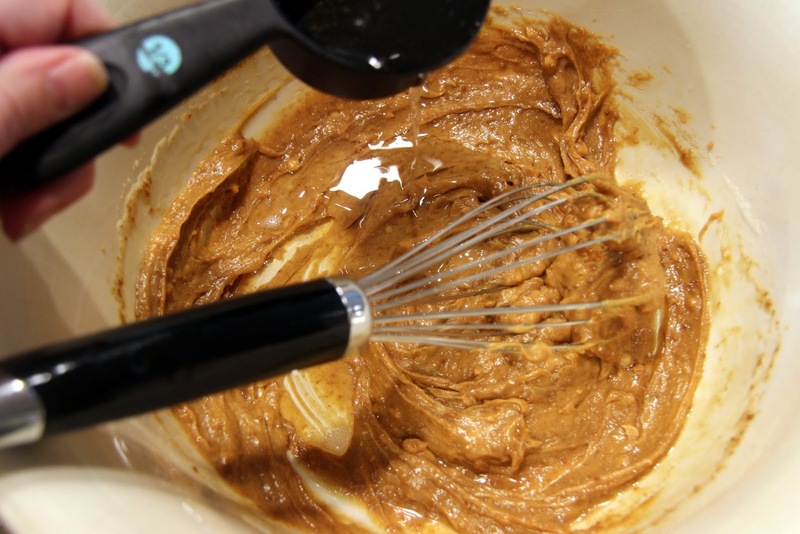 The egg white, peanut butter, honey and coconut oil in this recipe help to bind them and mine stayed together well but, if for some reason yours don’t, please don’t panic! 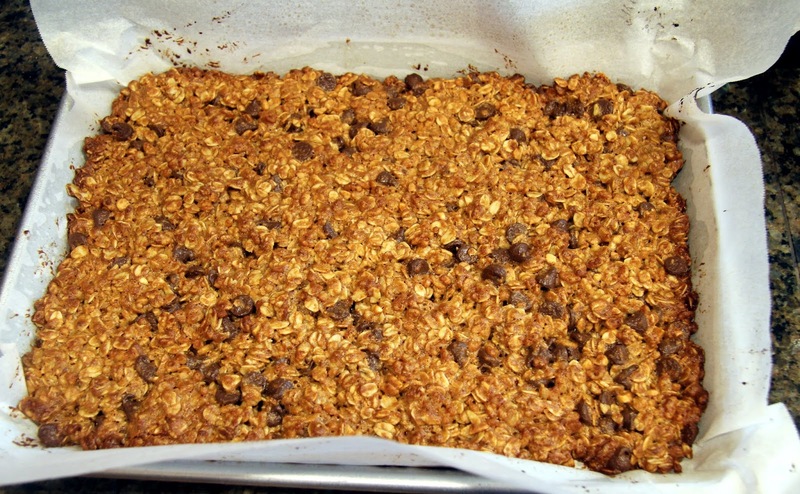 You will still have yummy granola to crumble over Greek yogurt for a nice treat or you could use it for trail mix. I have faith in you though, I think you’ll do fine. 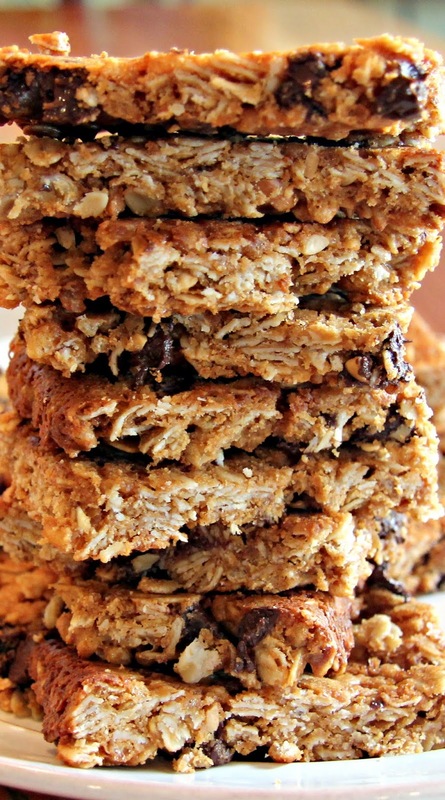 Oh, and in case you’re wondering, Ella loves the crunchy peanut butter and the honey in these granola bars… Go figure. 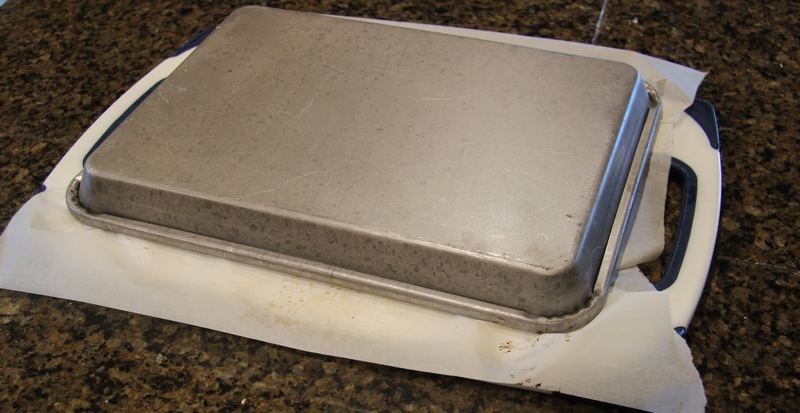 Spray 9″x13″ pan with nonstick cooking oil spray then line with parchment paper, leaving excess paper hanging over the sides. Spray with more cooking spray. 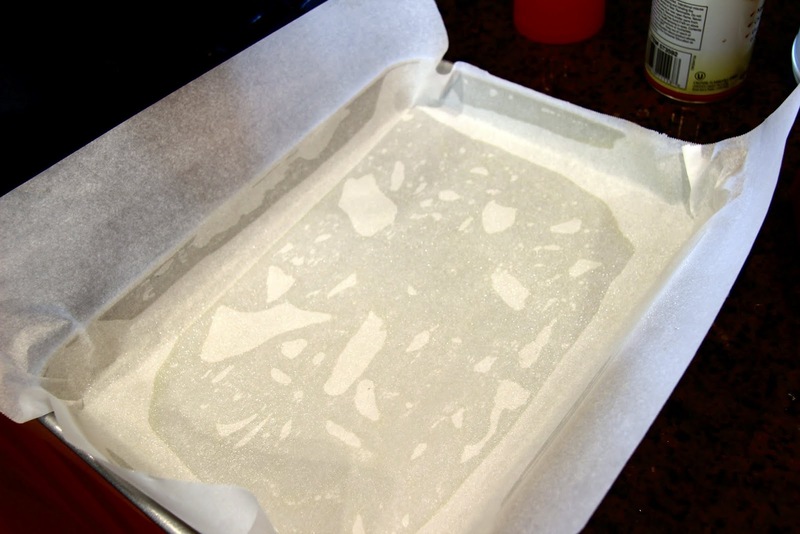 Melt your coconut oil in the microwave and set aside to cool. 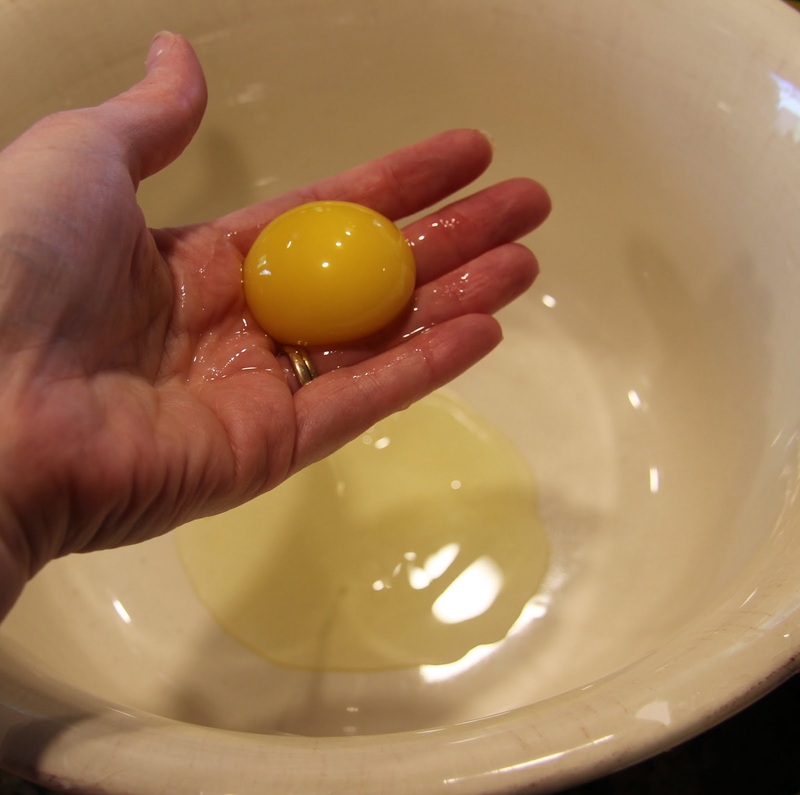 Place egg white in a large mixing bowl. 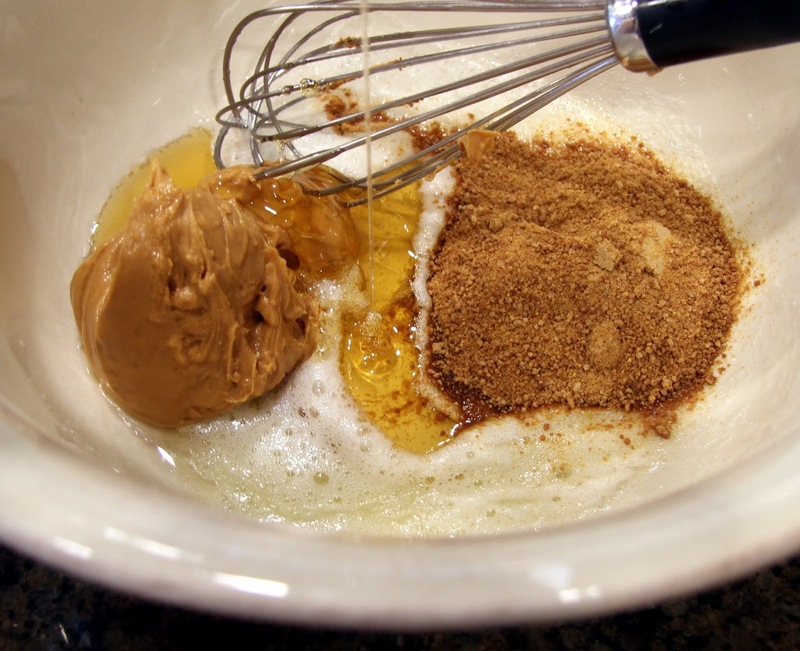 Add peanut butter, coconut sugar and honey, stir with a whisk until combined. 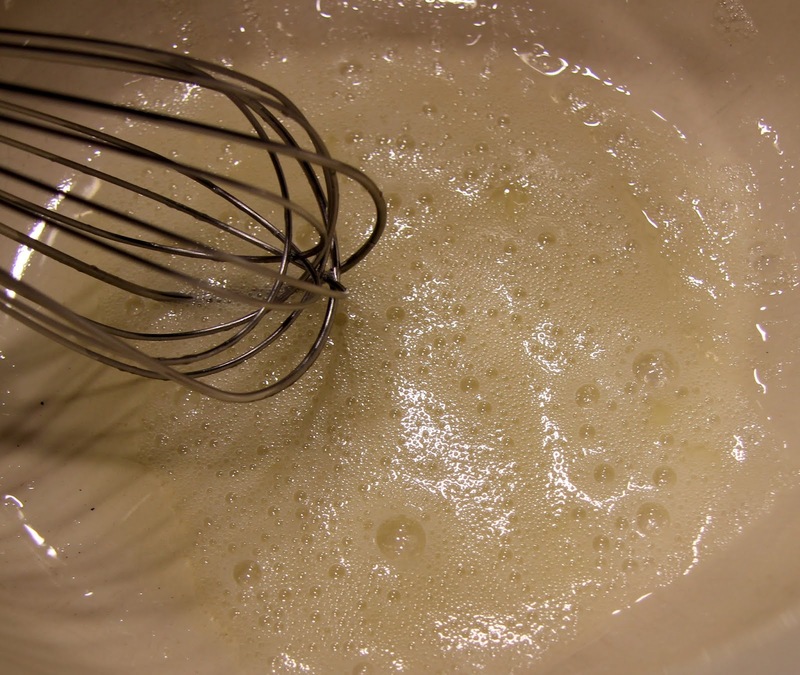 Slowly stir in melted coconut oil (make sure it’s not still hot) and add salt. 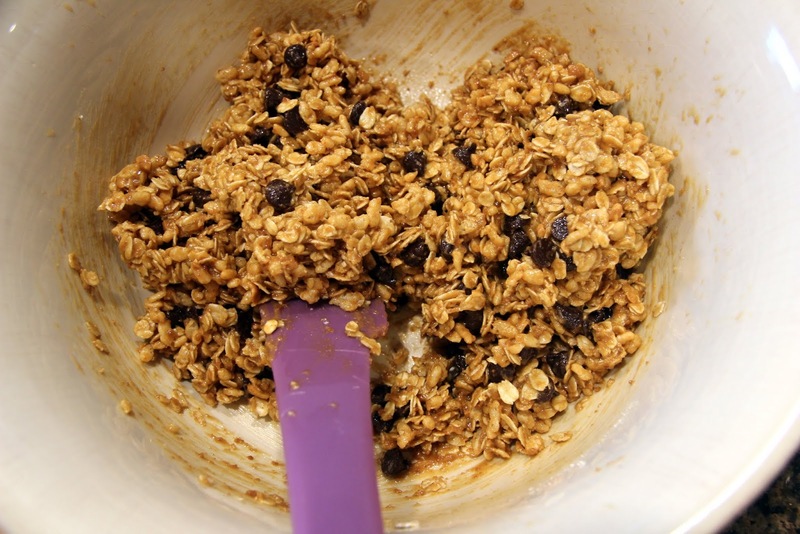 With a rubber spatula or wooden spoon, gently stir in oats and rice cereal, then add chocolate chips. 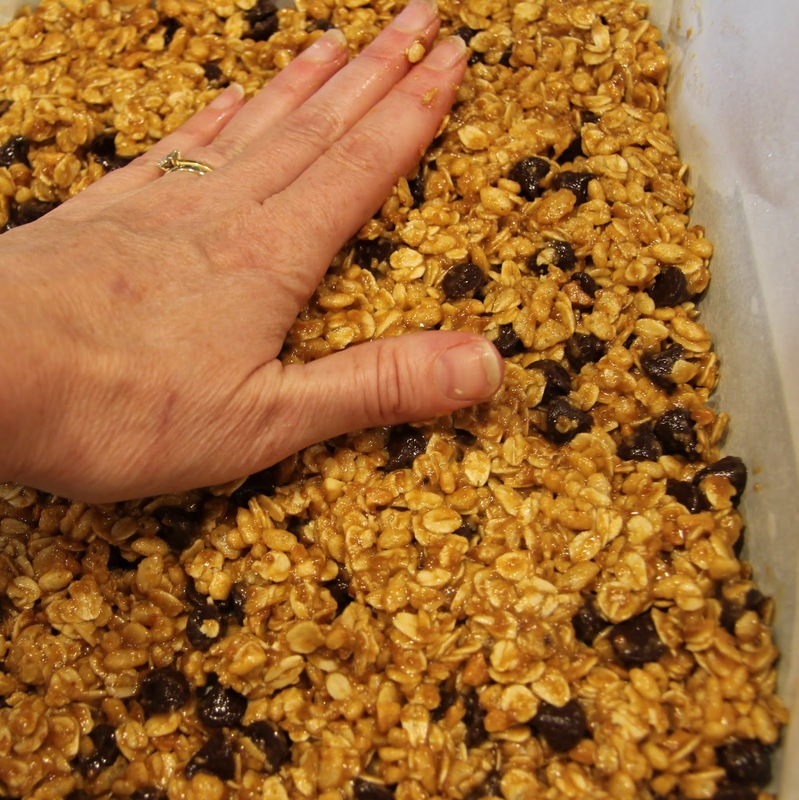 Press mixture into prepared pan, using a rubber spatula and your hand to make sure it’s packed in evenly. Place in preheated oven. 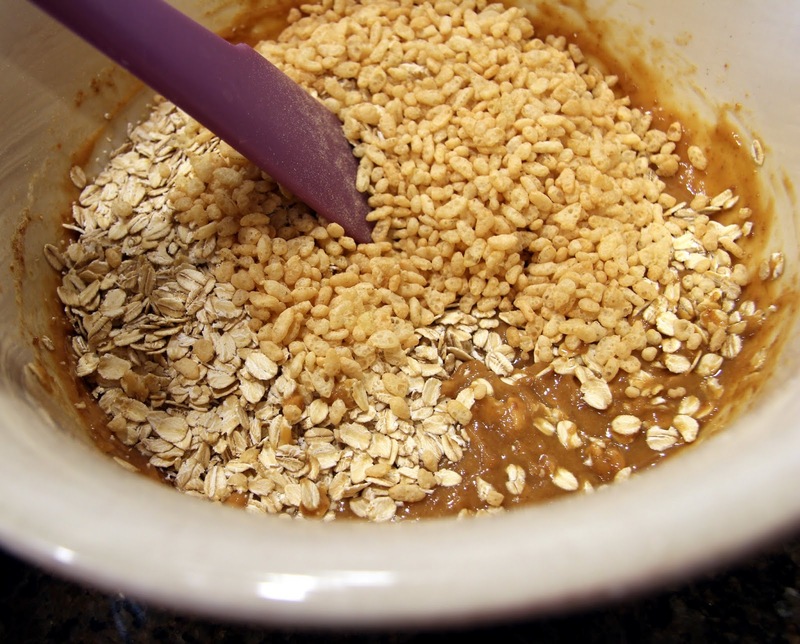 Bake 15 – 20 minutes, until the edges begin to brown. 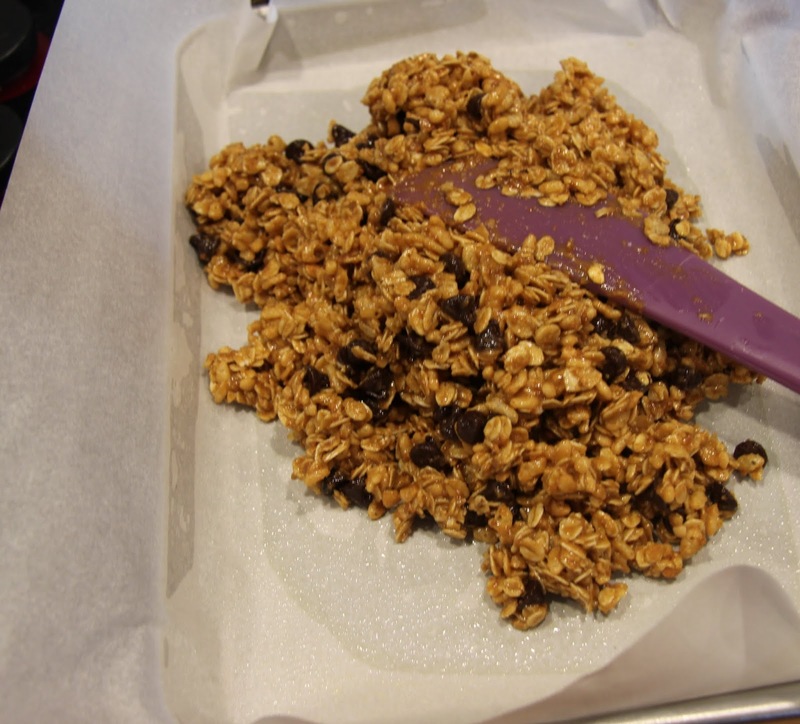 Allow to cool at least one hour before removing from the pan, otherwise, you will have a crumbly mess. 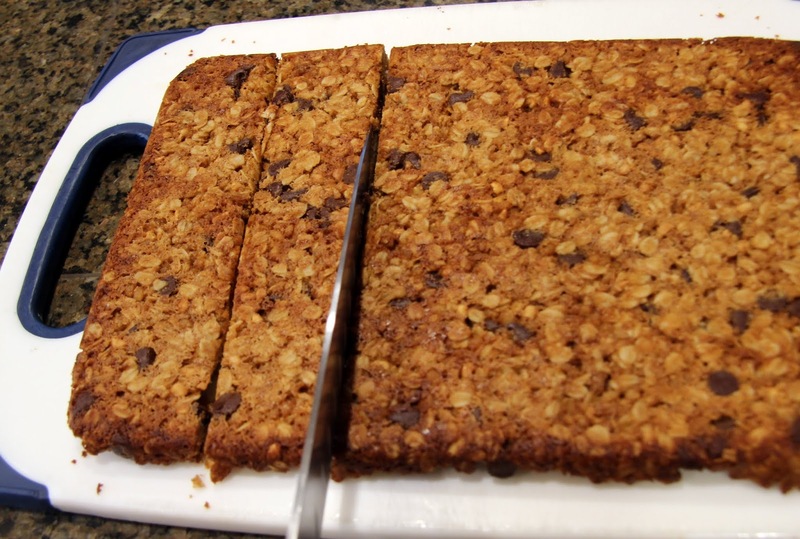 After it’s cooled, turn onto a cutting board. 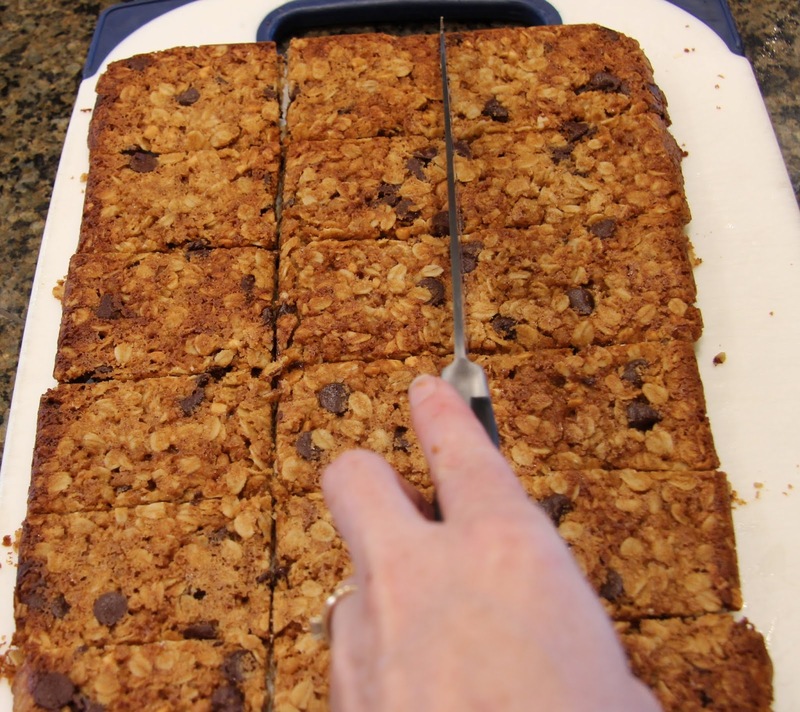 Carefully slice into 18 bars using a long, sharp knife. 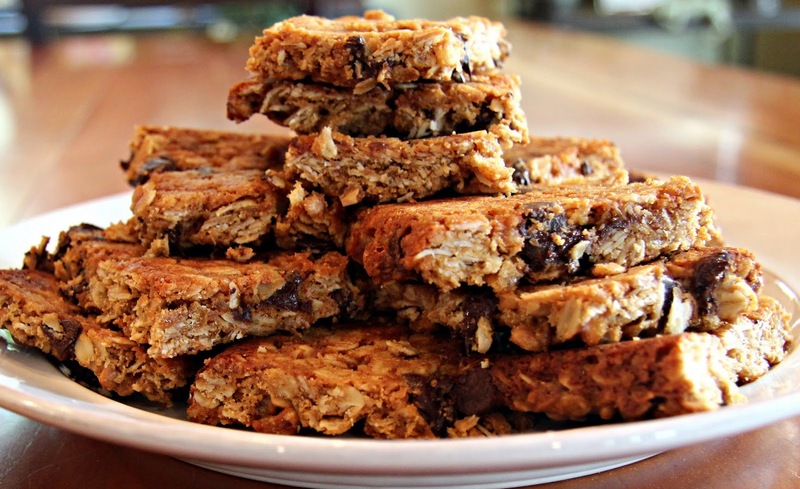 Stack and serve or wrap individually for later. Both of my girls are very excited to have them in their lunches this week and I like to throw one in my purse for an emergency snack, which I often think I need.